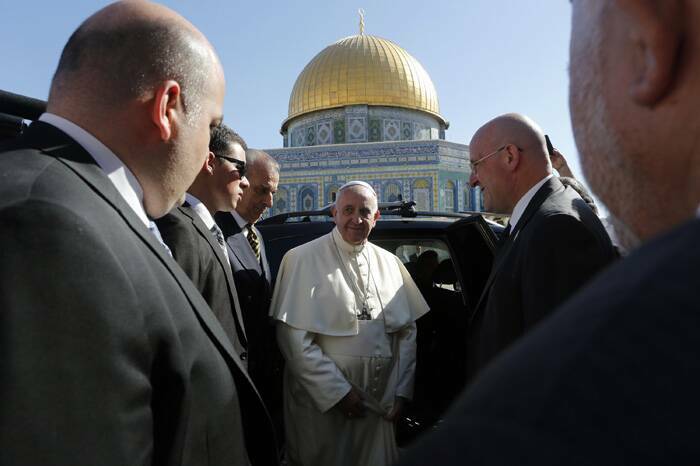 Pope Francis toured the compound accompanied by the Grand Mufti of Jerusalem. 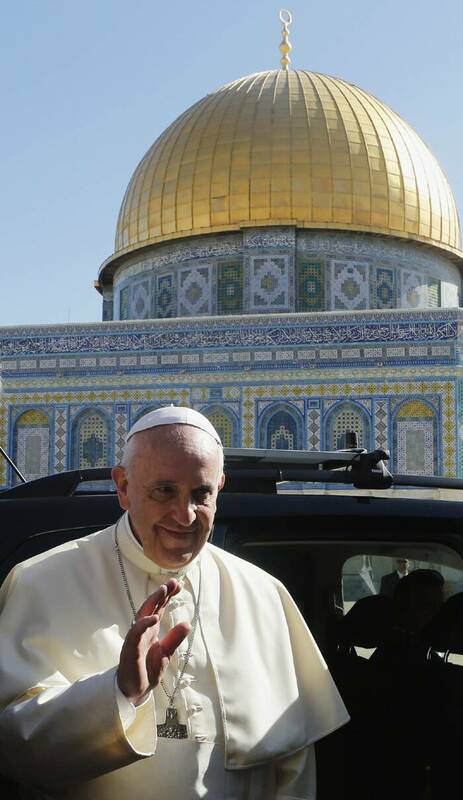 Pope Francis called for Christians, Jews and Muslims to "work together" for justice and peace on a visit to Jerusalem's Al-Aqsa mosque compound, the third holiest site in Islam. 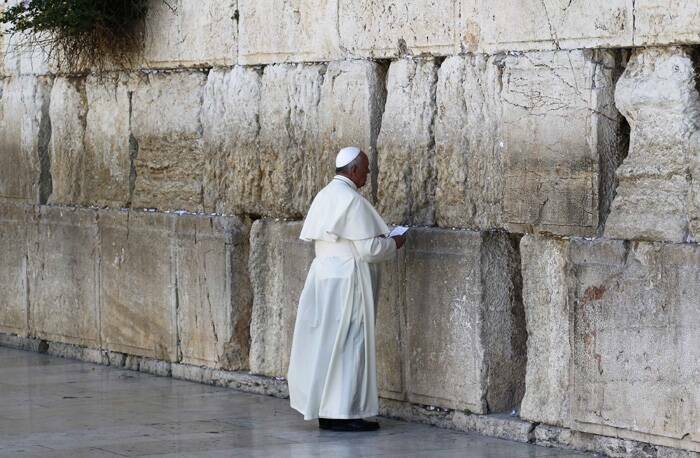 "May we work together for justice and peace," he said at the sprawling plaza, which is also considered sacred by Jews because it was the site where their two Jewish Temples once stood. 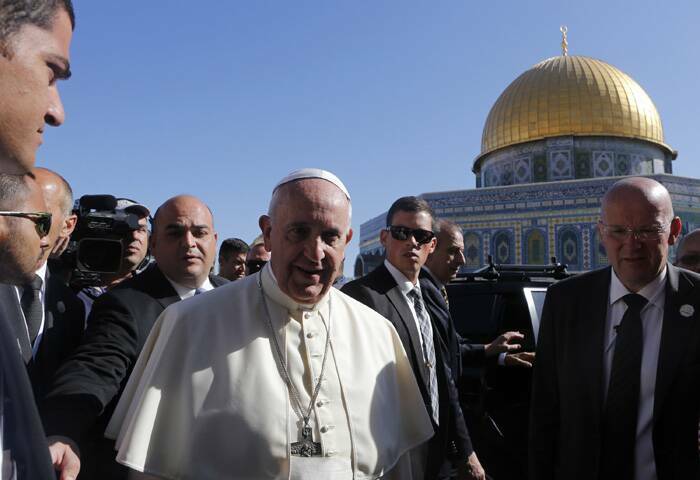 As he toured the compound accompanied by the Grand Mufti of Jerusalem, Mohammed Hussein, he was surrounded by a large crowd of Catholic and Muslim officials, as Vatican security guards and Israeli police looked on. 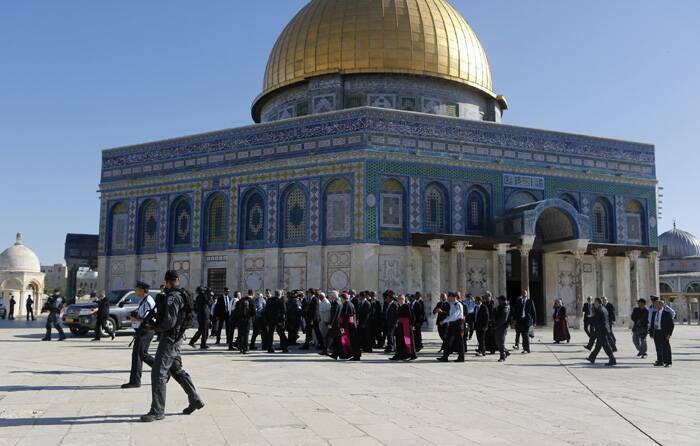 Entering the exquisite blue-tiled Dome of the Rock with its landmark golden cupola, which is used as a place of worship for women only, the pope first removed his shoes. He then walked down towards the smaller, silver-domed Al-Aqsa mosque - Arabic for the "furthest mosque" - which is considered the third holiest shrine within Islam because it is the site where Muslims believe the Prophet Mohammed ascended to heaven. 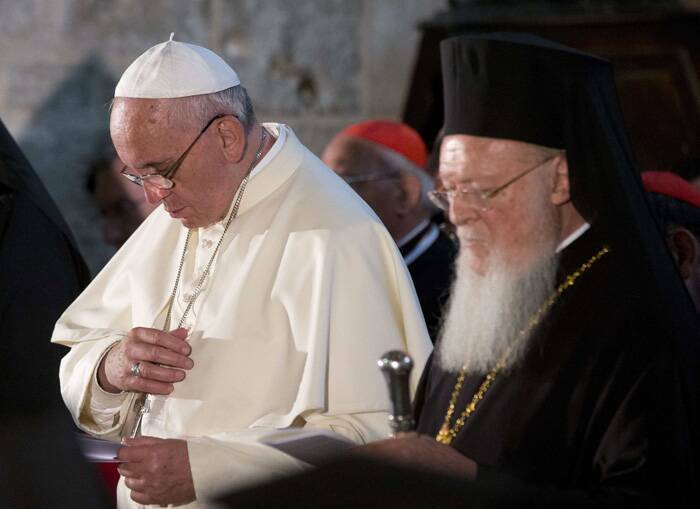 Pope Francis joined Orthodox Patriarch Bartholomew I in an historic joint prayer for the Christian unity at Christianity's holiest site in Jerusalem o May 25. 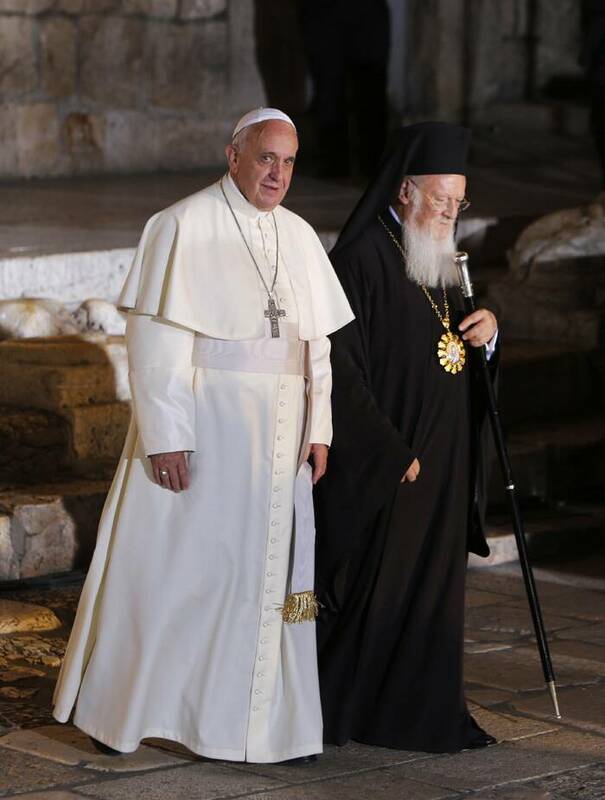 They met at the Church of the Holy Sepulchre inside the walled Old City after signing a landmark pledge to work together to further unity between the eastern and western branches of Christianity, estranged for a millennium. 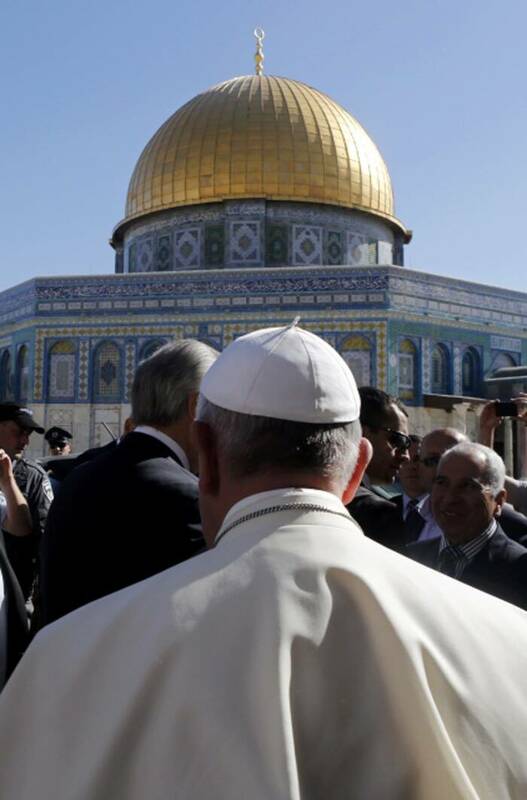 The meeting has been billed as the main reason for the pope's three-day trip to the Middle East, which ends on May 26. 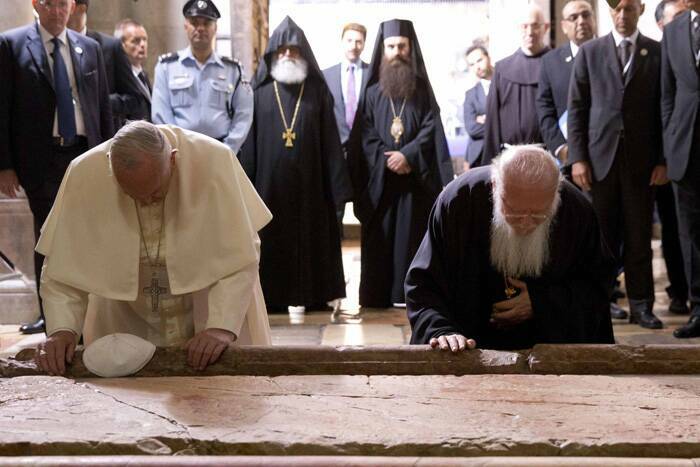 It commemorates the historic rapprochement between both branches of the Christian church 50 years ago, when Pope Paul VI met and embraced Patriarch Athenagoras – the first easing of tensions between the Churches since the Great Schism in the 11th century. 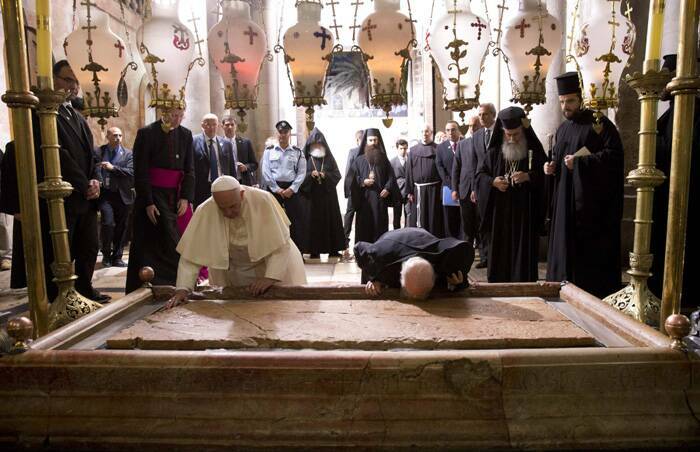 Both leaders knelt side by side in prayer on the rough Stone of the Anointing, where the body of Jesus was laid before burial, removing their headgear as they did so. 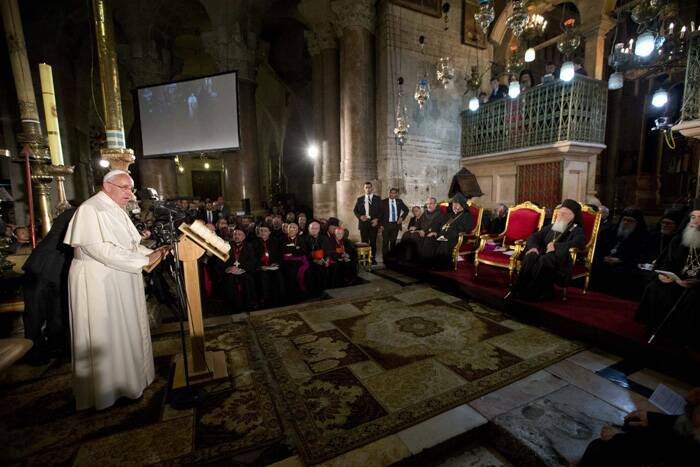 According to Christian tradition, the Church of the Holy Sepulchre where the joint service was held, was built on the site of the crucifixion, burial and resurrection of Jesus.